IP GSM WATCHDOG TC35 - IQtronic technologies Europe s.r.o. 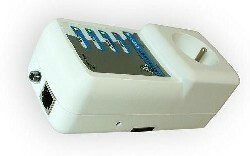 IP GSM WATCHDOG (restarter/reseter) with 1xRJ45, GSM and SNMP support. Input for PIR sensor and integrated temperature sensor. • Integrated temp sensor, alarm, input for PIR sensor.